All are compliments of Udemy‘s expert Lightroom instructor Phil Ebiner. Once you have made all of your edits to the photo, you will have to export them so you can share them with the world. 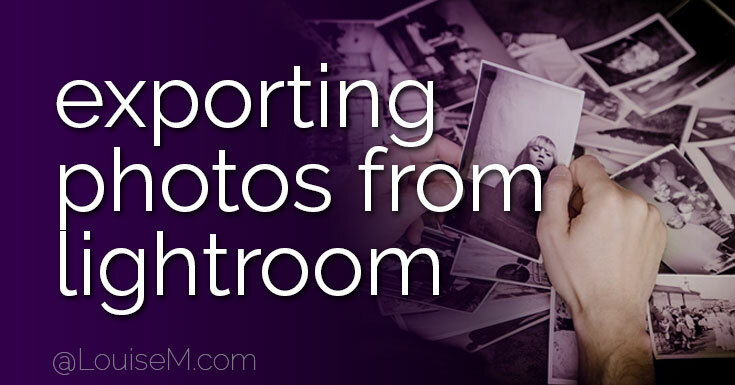 To export photos, select the photo or photos from your filmstrip that you want to export. Go to the File menu at the top of the program and click Export. An Export window will pop up with a variety of export options. First, choose the export location. This is where your files will end up. Choose the folder that already exists on your computer, or choose Put in Subfolder and type in the folder name. This will create a new folder and put your exported photos into that folder. Next, choose how you want the exported photos to be named. There are a few different options in the Rename To drop-down menu. Or, you can choose Custom Name to come up with your own names. If you are exporting multiple photos, choose Custom Name – Sequence. Write out the Custom Text, which will be the actual name of the photo. Then type in the number you want the sequence to start at. For example, if you are exporting 5 photos from a recent trip to Paris, maybe you want to the custom text to be Paris and the start number to be 1. The exported files will then be named Paris-1, Paris-2, Paris-3, Paris-4, and Paris-5. Next, choose the file settings. Choose an image format. JPEG is great for sharing online or on a disk because the file sizes are small. Choose a quality with the quality slider. I generally just set this to 100 for final exports. Typically, you’ll want to leave the color space to sRGB, unless you know you want a different color space. And lastly, check the Limit File Size To checkbox if you want to make sure the exported photos aren’t exported larger than you want. This is helpful if you are posting photos online and can’t upload a photo larger than a specific file size. Next, adjust the image size. For most cases, leave this unchecked to get the best quality export. If you do have a specific size that you want, you can set the Width and/or Height limit. This is also beneficial if you are posting online and need a specific dimensions. Setting the resolution to 150 will result in high-quality photos. The rest of the options can be used on a case-by-case basis. When you are happy with the settings, click the Export button on the bottom of this window. Lightroom will then process all of the images. You can then find the exported files in the folder where you saved them. To add a watermark to your photos, when exporting your photos check theWatermark export option. In the drop-down menu, click Edit Watermarks. The Watermark Editor will pop up. Here you can type in the text that you want to appear as a watermark. You can also upload a graphic that can be used as a watermark. Use the Text Options to adjust the character settings. You have options for font choice, style (bold, italics, normal), alignment, and color. Below that, you can add a shadow to your text. Check the box on or off to include a shadow or not. The opacity, offset, radius, and angle settings have to do with how the shadow appears. Use the Watermark Effects to adjust to size and position of the watermark. Click Save and name your watermark to be used in the future. Then export your photo and the photos will have your watermark. We hope you’ve enjoyed this Lightroom tutorial. You should now have a better grasp of how to use this powerful tool to improve your photos. As mentioned throughout this tutorial, there aren’t many hard-and-fast rules in photography. The same goes with photo editing. You’re the artist when it comes to your own photography. Some photographers do very minimal editing, leaving their photos more natural. Other photographers like to use Lightroom to add filter-like looks to their photos. It is up to you. Lightroom is an amazing tool. You’re the artist. 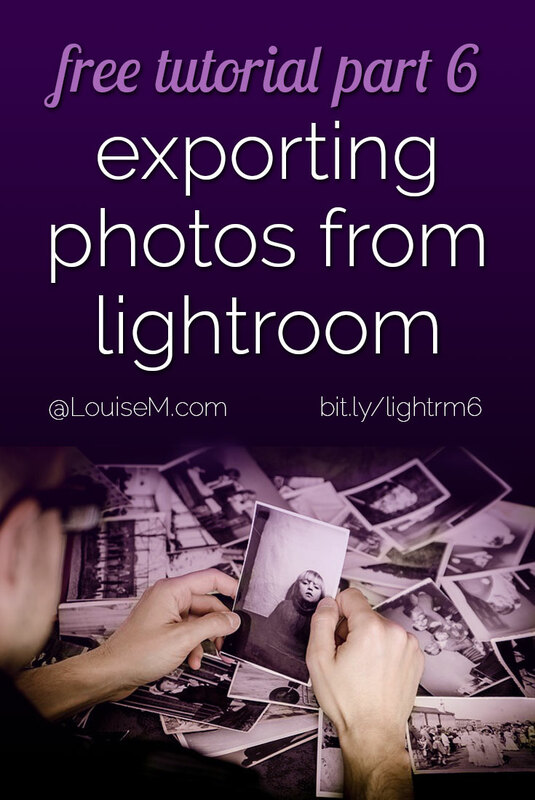 Lesson 6, How to Use Adobe Lightroom to Export and Watermark Photos, originally appeared on Udemy and is used by permission. Glad you liked it! The full course is here.